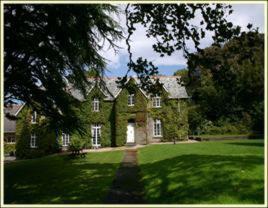 Welcome to our page of bed and breakfast in Lynton! Lynton and its neighbour Lynmouth are in the Exmoor National Park and nestle amongst some of the finest scenery that Britain has to offer. This is a popular route along the coast and both villages are well visited and established tourist attractions. The Victorians used to call this area "Little Switzerland". Lynton compliments its neighbour and has a variety of shops and windy little streets that give it a unique character. Lynton and Lynmouth Cliff Railway (photo) a unique water powered cliff railway opened in 1890. Two lift cars are connected via a continuous cable . Water discarded from the lower car causes the heavier top car to decend the 500 feet to the Lower Station. An ingenious system ensures the brakes are always applied. 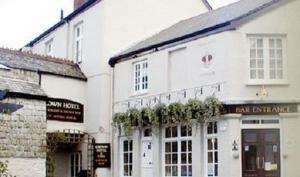 If you are in the right town but cannot find the accommodation you want on this page, you might consider Lynton hotels. Also see Lynton & Lynton attractions. Bed and breakfast near Lynton. Location: About 5 miles east of Lynton. Comfortable 18th century licensed country house on Exmoor. Bed and breakfast near Lynton. Location: About 6 miles south of Lynton. Farmhouse B&B. For bed and breakfast accommodation in other areas near to Lynton Devon see Bed and breakfast in Great Torrington & Bed and breakfast in Ilfracombe.